All Wasatch Ballet students are invited to participate in our yearly Spring Concerts. Original story ballets (with jazz and tap), our productions give students the opportunity to learn all aspects of ballet, including acting and mime. Costumes and choreography are both professional and appropriate. Each class performs at least two dances and helps to develop the story line through acting and mime. Students of all ages enjoy this wonderful WBC tradition. Intermediate and Advanced dancers may audition to join one of WBC’s Performing Companies which perform throughout the year at various local venues. 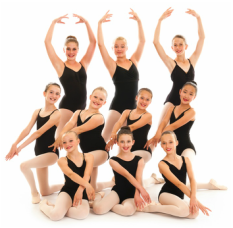 Technique and performing skills, combined with friendships and memories, really make this a valuable and fun aspect of dance training at Wasatch Ballet. Wasatch Ballet has always provided fabulous performing opportunities. To build upon that, WBC is proud to announce the Wasatch Dance Project, Utah Valley’s newest and most innovative Ballet Company for students. Wasatch Dance Project will feature both classical and contemporary works by choreographers from all over the Valley and surrounding areas. We believe that collaboration is key in developing the arts in our community and Wasatch Dance Project plans to bring together artists from all over the valley. In addition to involving more artists in our community, Wasatch Dance Project will engage in outreach programs to further public involvement and education about the arts. Dancers in the highest levels at WBC will have the wonderful opportunity to be apart of this elite group of dancers. Every winter, WBC hosts an in-studio parent show for each individual class. Friends and family are invited to watch an abbreviated class as well as take a sneak peak at the choreography the students are working on. This is a great opportunity for students to get comfortable dancing for an audience in a fun and warm environment. It also gives parents a chance to see the progress their dancers are making. Life in a Labyrinth Is a community event produced by Wasatch Ballet. Dancers, singers, musicians, and actors are local artists chosen through open auditions.